Our Graphic Design students visit New York! Students from across all three years of our BA (Hons) Graphic Design course have recently enjoyed a five day study trip to New York. 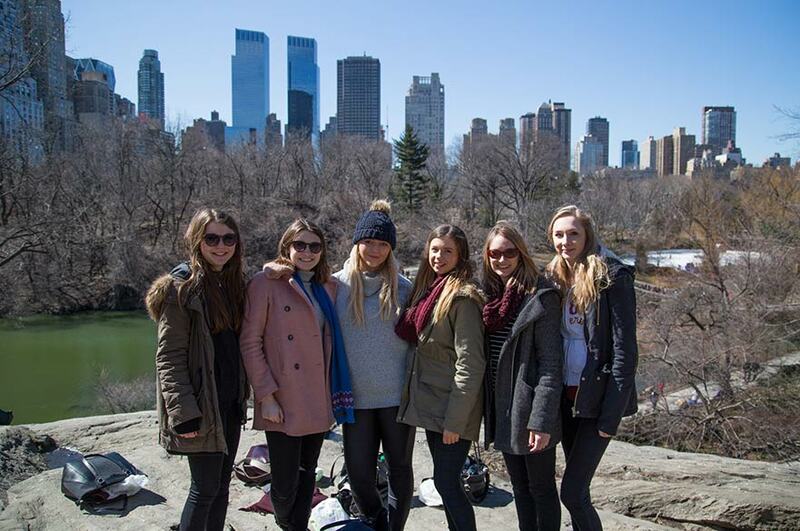 Our BA (Hons) Graphic Design students have recently enjoyed a five day study trip to New York. The optional trip was open to students across all three years of the course, and gave them the opportunity to experience a different culture and soak up influences from the American design market. The itinerary was made up of six exciting studio visits at various companies including KarlssonWilker, TwoTwelve, 2X4, Everything Studio, Mucca Design and a trip to the Society of Illustrators. Of course, the students found time to fit in some sightseeing as well as a spot of shopping! Year Two student, Emma Burns told us: "I think the trip has benefited my studies as I have been introduced to a new culture which has made me think about designing for a wider audience. Visiting the design agency Mucca Design was really inspiring and we got lots of useful advice. We did so much in a short period of time which included visiting iconic landmarks such as the Empire State Building, Central Park, Brooklyn Bridge, Times Square, Grand Central Station and Ground Zero Memorial. This whole experience will make a great talking point with future employers!" Senior Lecturer, Andy Ellison commented: "We do a trip every year and this is the fourth time we have been to New York. It is a valuable experience for our students as they get to see working agencies and ask real designers questions. They are also able to see the differences between working in the UK and abroad." Final Year student, William Warr added: "The studio visits were very insightful. Being in a studio and having professional designers talk through their case studies and being able to respond to questions face to face was an invaluable experience. Hearing how they approached work has definitely informed the way I work. I would definitely recommend these study trips to other students because whilst anyone can visit New York, you'll never get the opportunity to visit these studios once you've left university - you've got to make the most of it." When asked about the highlight of the trip, Year Two student, Melissa Gandhi said: "We decided one evening to go out to Long Island as the view of the city was supposed to be spectacular and we were not disappointed. It was magical to see the skyline from the other side of the Hudson River as the sun set."